4 clothes panels. 12 x 6 feet each. Solo projects ARCO. Madrid, Spain . 2010. 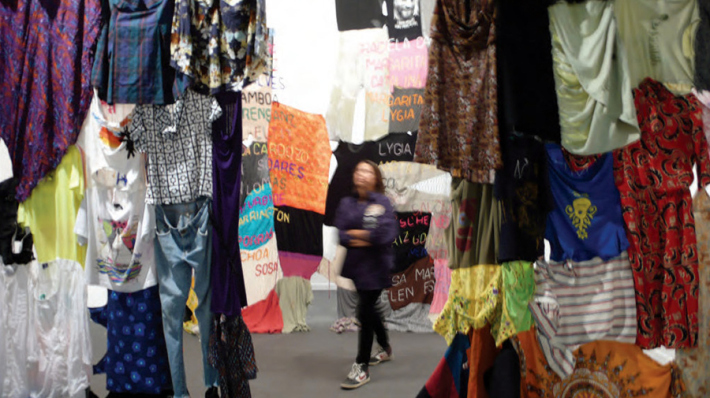 A collection of clothes of the women in my family and contemporary Latin American and Latino female colleague artists. 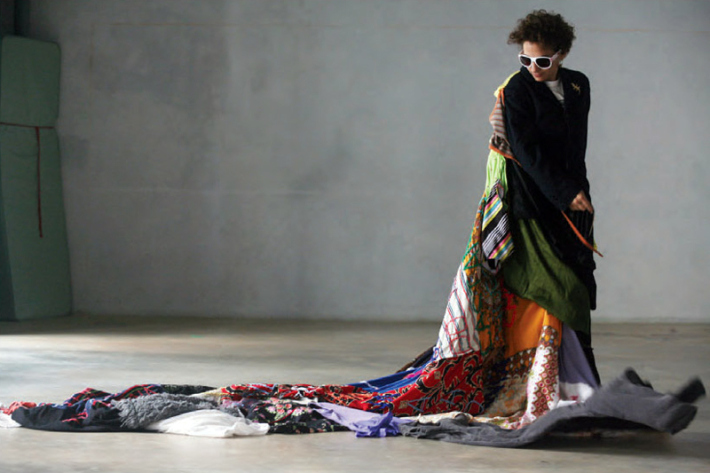 The clothes is sown in a manner that you can still wear each garment and drag or play with the rest. 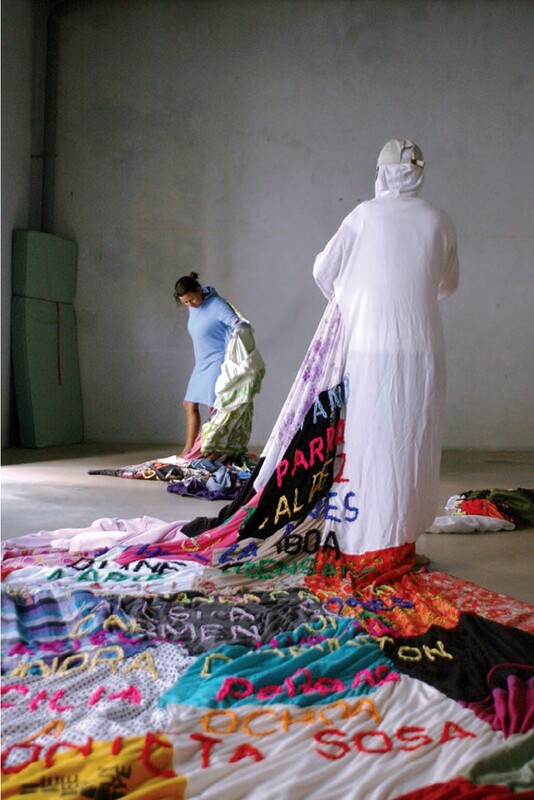 A list of 64 Latin American and Latino female artists of earlier generations are embroidered over the clothes panels. MUJERES EN MI PHOTO SERIES. Digital Print 13 x 20 inches.